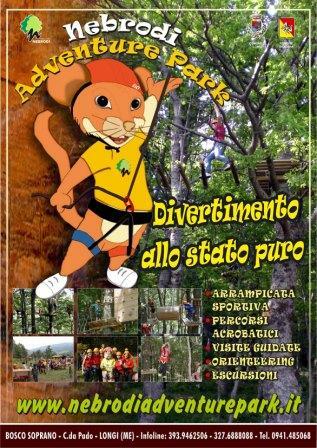 The Nebrodi Adventure Park is located in the "Bosco Soprano" in Contrada Pado, a magnificent oak forest, in the heart of the Nebrodi Park, the largest protected area of Sicily, about 4 km from Longi and 5 km from Galati Mamertino . It’s the first Adventure Park in the province of Messina and it is a pleasant, fun and exciting way to discover the beauty of nature and the wonderful landscapes typical of the “nebroidea”. 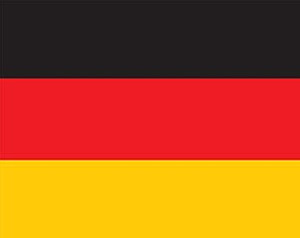 It was created for fans of all ages who have here the opportunity to enjoy direct contact with a healthy environment. It includes various trails formed by acrobatic elements installed on trees, the increasing levels of difficulty allow the visitors to have an exciting and adrenaline adventure in close contact with the nature. The trails are distinguished by age and degree of difficulty, installed in different heights between 2 and 18 metres and with the use of the appropriate equipment you can move in total safety, always under the supervision of the instructors.